Ever see those awesome time-lapse videos of someone flying across the world, traveling through a foreign country, or just walking around the local music festival? 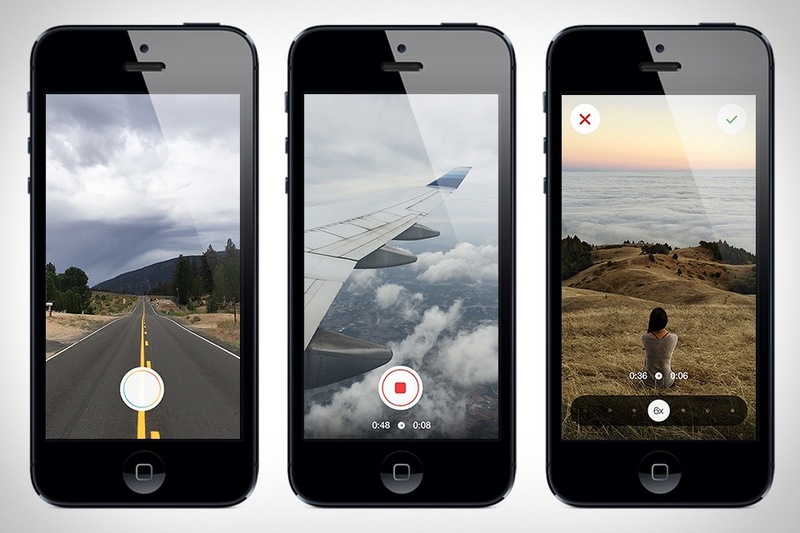 Now you can make your own with Hyperlapse. This new app from Instagram lets you shoot time lapse videos that are instantly stabilized to smooth out bumps and other jarring motions, and are played back at up to 12 times the speed you shot it, allowing you to show a day's worth of action in just 30 seconds or less. When it comes to holding your own in the wild, few groups know their stuff like the U.S. Army. Now you can tap into their wealth of knowledge with Army Survival. This handy app is based on the U.S. Army Field Manual 21-76, titled "Survival", and offers up information on survival psychology, edible and medicinal plants, poisonous plants, dangerous animals, insects, and other natural threats, shelters, wayfinding, and general survival tips for the desert, tropics, arctic, and sea, as well as a host of high-resolution images to make the standard manual even more useful. The only downside? The app can't keep your phone charged up if you're in the wilderness and actually need the info it contains. Finding instant access to entertainment is easy these days — plenty of options bring you streamed shows and movies wherever you are. But what if you prefer reading to watching? Say hello to Oyster. Like a Netflix for readers, this service provides access to over 500,000 ebooks — including thousands of NYT bestsellers and hand-curated lists of Pulitzer Prize winners, Oprah's picks, and more — for a monthly price that's less than the price of a delivery pizza. And thanks to the well-designed, multi-platform app, finding a new novel to read is nearly as enjoyable as the reading itself. You might not know it, but Tom Hanks (yes, that Tom Hanks) is somewhat of a manual typewriter enthusiast. In fact, he's more than that — with a knowledge of models and their intricacies that borders on encyclopedic, he's passionate about them. And now he's aiming to bring the joy of the typewriter to the iPad with Hanx Writer. This free app recreates the experience of typing on a manual typewriter, complete with on-screen "paper", documents with their own personality that can still be emailed/shared, and a bevy of available models, each of which has its own look and sound. When the iPhone first launched, it gave us a whole new way to make phone calls and connect with people. But in the years since its launch, the Phone and Contact apps haven't changed a whole lot. Humin is out to fix this. By acting as a replacement for both apps, it gives you the ability to search your contacts on more natural terms — say, when/where you met them, where they live/work, or what they do, all by leaning on information from Facebook, LinkedIn, and even Gmail. It also gives you reminders on who you're scheduled to meet with, connects you with friends when you're traveling, and lets you know when friends are visiting nearby. Put simply, it's a smarter phone. 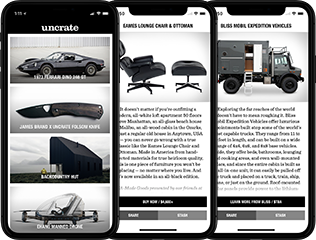 Instant gratification — that's what a big part of the mobile experience is all about. Instant access to the Internet. Instant access to your friends. Etc. Which is what makes 1-Hour Photo so novel. This free app lets you shoot photos as soon as you open it, but with one big caveat — you can't see the results for an hour, as the app forces you to stay in the moment and applies a smooth black and white film emulation. It might not make sense, but it's also free, so you have little excuse to not give it a try. Your iPhone can already do a little stabilization of its own, but if you've ever tried to film while walking, running, riding a bike, or otherwise moving in a jumpy way, you know it can only do so much. On its own, anyway. Download Steady Camera, and you'll have a way better chance of coming out with great looking footage. This new app uses the gyroscope sensors in your phone to know where the camera is pointing, automatically compensating for abrupt movements to give you footage that looks smooth as a Steadicam. And slo-mo junkies are taken care of as well - with the ability to set start and end points, sharing is as easy as render and tap.